You are here: Home › Stayfitcentral Health & Fitness Blog › Health & Fitness Blog › Crossfit › Crossfit Recovery Supplements – Recover Faster For Better Results! As you know, your body becomes stronger, leaner, and healthier between workouts. This is why strength coaches and trainers emphasize doing everything you can to recover post-workout. Whether you train 3 times a week or 2x a day, the right Crossfit recovery supplements can really help. In this article, I’ll teach you which work best. The products in this article cover every area of post-WOD recovery from decreasing muscle soreness to improving the quality of your sleep. When combined with getting enough sleep and eating the right foods, they can help you get more from every WOD and Metcon and help you achieve your fitness and athletic goals sooner. When choosing the products to be on this list I created a criteria each had to meet. This is to help you and me that the products we take are the best for us. The ingredients in each supplement must be supported by peer-reviewed scientific research. To be selected, they cannot contain any potentially harmful ingredients. Each product must contain a clinically proven dose of its key ingredients. None of the supplements contain unproven ingredients or unnecessary fillers. 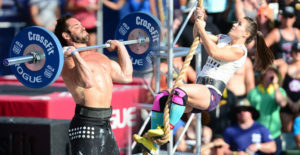 The supplements selected as the best for Crossfit workout recovery are also part of our Top 9 Supplements For Crossfit. This is the article thousands of guys and girls like us use as a reference to help them buy the best products for their needs. If you’re only going to use one nutritional supplement to support your recovery, branched chain amino acids (BCAAs) are the best choice. Blocking the chemicals in your brain that increase feelings of fatigue so feel refreshed instead of exhausted. Significantly decreasing post-workout soreness after an intense WOD or MetCon. Turning on the muscle building processes to help them repair and grow stronger, faster. Supporting your immune system so you stay healthy and never miss a workout. In addition to these benefits, research shows that taking branched chain aminos (BCAAs) can also help you lose fat faster and work as an energy supplement when taken pre-workout. When taking BCAAs post-workout the latest research recommends taking between 5-15 grams as soon as possible post-workout. The amount required for you is dependent upon how hard you are training and how much you weigh. Experimenting with different doses is the best way to learn what works. As an example, I weigh about 190 lbs. At 12% body fat and find 10 grams to be an adequate dosage. I also train every day, at 4:30 A.M. on an empty stomach. My workouts include lots of MetCons, kettlebell complexes, and heavy farmer’s walks. My wife, on the other hand, weighs about 100 lbs and takes 5 grams post-workout. She too trains hard daily but since she weighs almost ½ of what I do requires a much smaller dose to get similar results. Which BCAA Supplement Is Best? 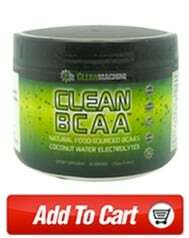 The product that I use and recommend is Clean BCAA powder. Every container has 30 servings. It contains nothing by branch chain aminos in the research proven 2:1:1 ratio. This ratio is key. In order for the BCAAs to help you recover you need to get at least 2 grams of leucine and 1 gram each of valine and isoleucine the other branch chain aminos. Clean BCAA provides this amount in every scoop. I also love that this powder dissolves easily in a glass of water and stays that way. There’s nothing worse than having to constantly mix or shake your drink to avoid clumping or having half the powder stay at the bottom of the glass. Actually, there are a lot of things that are worse but it’s a bummer to see half the powder you mixed stay stuck at the bottom of your glass. Clean BCAA powder is calorie, gluten, dairy, soy, and GMO free so you know that you’re not putting any potentially harmful ingredients into your body. Since it has zero carbohydrates and is vegan it’s safe to use regardless of the diet you follow. Click here to buy Clean BCAA powder from our store. Called ‘The Natural Anti-Inflammatory’ by neurosurgeon and doctor for the Pittsburgh Steelers Joseph Maroon, the omega 3’s in fish oil are a potent nutrient for recovering completely, quickly. Research shows that taking the right amount of fish oil on a daily basis can help your body recover by decreasing exercise induced muscle damage and inflammation and decreasing pain. Consider them a safer – and oftentimes better – alternative to an over the counter pain medicine like Tylenol. EPA and DHA the fats in fish oil that provide its benefits will also help to ease sore joints and boost your body’s immune system to help it stay strong, even when you’re working out really hard and/or often. Be patient with regard to your expectations with fish oil re: recovery. It can take a few weeks to a month to fully get into the cells of your body so results aren’t always immediate. Once it does kick in, you will notice and see for yourself how powerful such a simple product can be. Leading experts like Dr. Maroon and Zone Diet creator Barry Sears, PhD. recommend taking between 1-3 grams every day. As with BCAAs, the amount you require is dependant upon lots of factors including how hard and often you train, your body weight, and even the foods you eat. I get the best results taking 4-6 grams every day. I eat low carb and avoid processed foods and sugars like the plague but for someone reason require a higher dosage. Your own mileage may vary. It’s probably best to start off with a small dose and experiment with taking more if you don’t notice much benefit after a few weeks. There’s even a blood test called X that can help you see whether you’re taking enough. You can order it online or have your doctor do it for you. Which Fish Oil Is Best For Crossfit Recovery? 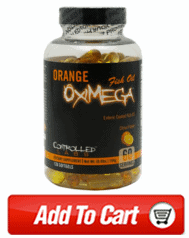 The fish oil supplement that myself and others love is Controlled Labs Oximega. Here are the reasons it’s the best. Concentrated dosage – only takes a few capsules to take 3 grams. Enterically coated and orange flavor – no fish taste or upset stomach or fishy burps. Quality ingredients – uses small fish (anchovies and sardines) which aren’t loaded with contaminants like mercury. Larger fish which live longer (mackerel, tuna) not so much. 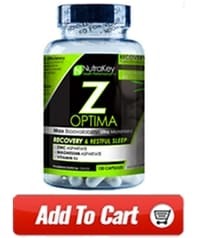 Last but not least on this list is a supplement that enhances the most important recovery method of all, sleep. Nothing beats a good night’s sleep to help you feel fresh and ready to train hard. Unfortunately, most nutritional supplements and prescription drugs that help you sleep come with a hangover like side effect the next morning. Every time I take melatonin, a very popular sleep aid, I feel like I’ve been out drinking the night before. ZMA, on the other hand, only leaves me feeling rested and ready the next day. Plus it replaces key nutrients we quickly use up when working out. This simple supplement, it contains B vitamins, magnesium, and zinc help with Crossfit recovery and sleep in a few ways. First off, the B vitamins are required by our bodies to repair and rebuild muscle post-workout. Since much of this happens when we are sleeping, taking them on an empty stomach before bed is a great idea. Second, the magnesium in every dose is the amount X mg found in several studies (?) to help you relax and get to sleep soundly. Just as important is that it’s a specific type called magnesium aspartate. Most types of this mineral are poorly absorbed by your body and therefore not very effective. The aspartate form is easily utilized by your body so you get the most benefit possible. The third and remaining nutrient in this formula is zinc. Like the magnesium in this product, it’s also the aspartate form to ensure as much as possible is utilized by your body. Zinc has its own recovery enhancing properties which include keeping your immune system healthy and X. How Should I Take ZMA? Nothing fancy here. The recommended dose for men is 3 capsules a day. Women only need to take 2 daily. It’s best to take your ZMA 30 or so minutes before bed. This is enough time for it to go to work and help you relax and fall asleep. Taking it on an empty stomach may also help you absorb and get more from your dose. Which ZMA Supplement Is Best? Since pretty much every ZMA supplement is the same, it’s best to choose a product that provides as many capsules and servings as possible per bottle at the best price. Given these factors and the others listed in the beginning of this article, the product I use and recommend to you is Optimum Nutrition ZMA. Every serving contains the aspartate forms of magnesium and zinc and B vitamins in the clinically proven amounts. Click here to buy Nutrakey ZMA (Z-Force) from our store. 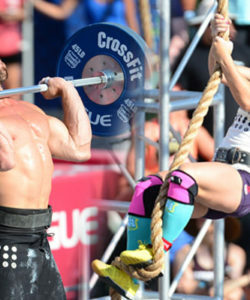 Now that you know the best supplements for Crossfit recovery. All that’s left for you to do is give them a try and see for yourself. Let us know what you think after you do. Corder KE, Newsham KR, McDaniel JL, Ezekiel UR, Weiss EP. Effects of Short-Term Docosahexaenoic Acid Supplementation on Markers of Inflammation after Eccentric Strength Exercise in Women. J Sports Sci Med. 2016 Feb 23;15(1):176-83. Shimomura Y1, Yamamoto Y, Bajotto G, Sato J, Murakami T, Shimomura N, Kobayashi H, Mawatari K. Nutraceutical effects of branched-chain amino acids on skeletal muscle. J Nutr. 2006 Feb;136(2):529S-532S. Tsuchiya Y, Yanagimoto K, Nakazato K, Hayamizu K, Ochi E. Eicosapentaenoic and docosahexaenoic acids-rich fish oil supplementation attenuates strength loss and limited joint range of motion after eccentric contractions: a randomized, double-blind, placebo-controlled, parallel-group trial. Eur J Appl Physiol. 2016 Jun;116(6):1179-88. Yang CC, Wu CL, Chen IF, Chang CK. Prevention of perceptual-motor decline by branched-chain amino acids, arginine, citrulline after tennis match. Scand J Med Sci Sports. 2016 Jul 1.